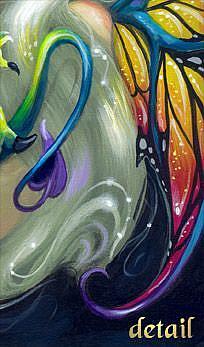 "Darling Dragonling IV" is the title - the fourth installment in my Darling Dragonlings series of small paintings featuring my ever-popular dragon & fairy characters. 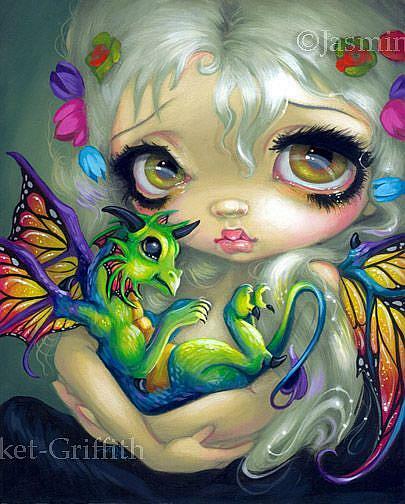 Many of you know my Dragonlings through various lines of collectibles, statues, jewelry, ornaments, etc. with the Bradford Exchange & Hamilton Collection. Darling Dragonling IV debuted at Dragon*Con 2011 (appropriately enough!). 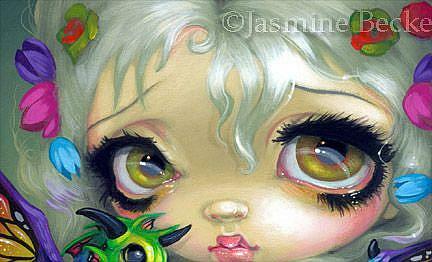 The original painting is SOLD, but I have prints & merchandise featuring her! 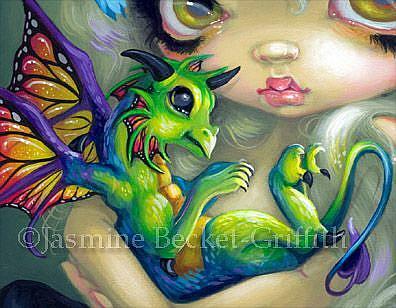 Darling indeed - I love the colourful dragonling & striking wings in this one. Wish I had a pet dragonling, hmph. My own original acrylic painting.